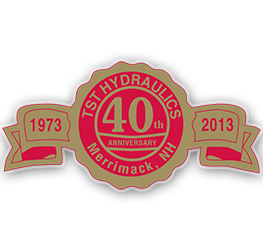 Congratulations to TST Hydraulics (1-800-892-6125 / 20 Continental BLVD Merrimack, NH 03054) Permco’s longest serving full line distributor. Thank you TST and the 3 generations of Shultz family members who celebrate 40 years of fluid power throughout the New England markets. In addition Permco announced today that TST founder Jim Shultz SR will be inducted to the inaugural class of Permco distributors HALL OF FAME – ceremonies will take place at the 2014 CON AG/IFPE show in Las Vegas Nevada. Thank you TST for 40 years of quality service and loyal support.